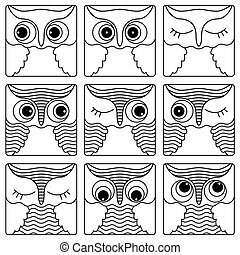 Nine funny owl faces in square shapes. 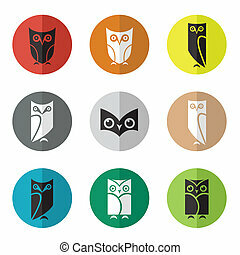 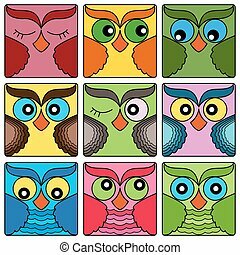 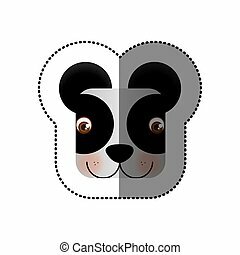 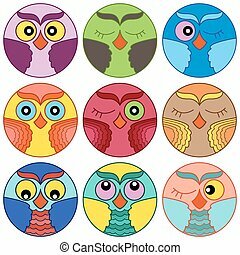 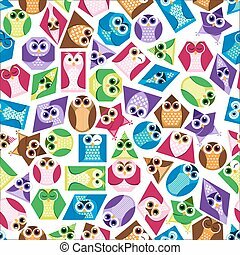 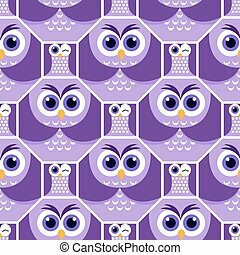 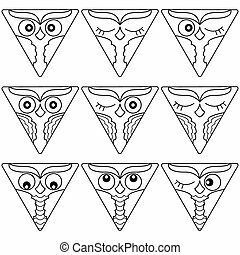 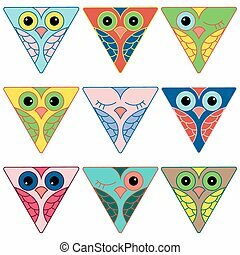 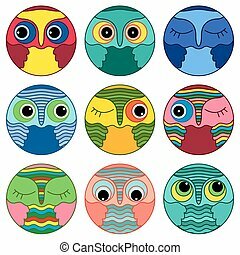 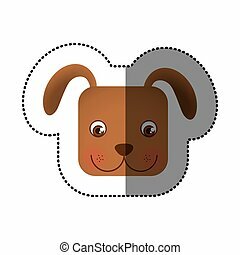 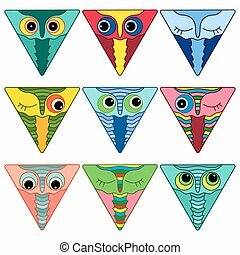 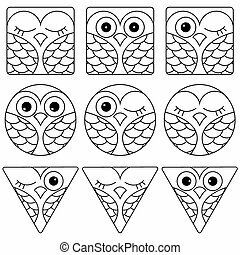 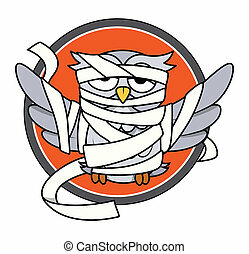 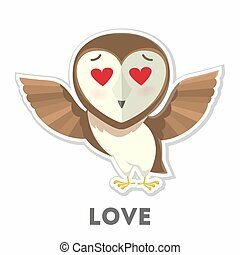 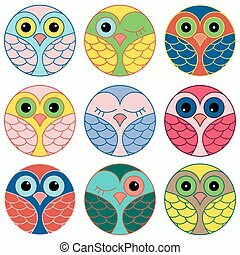 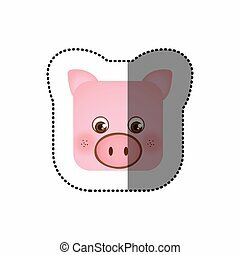 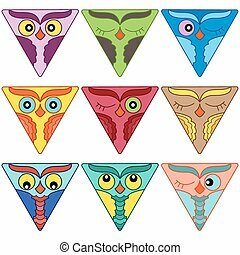 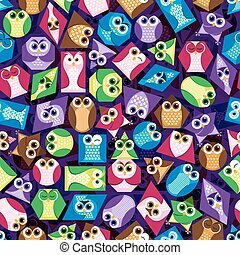 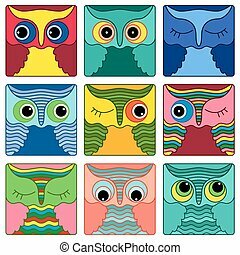 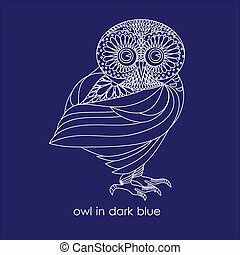 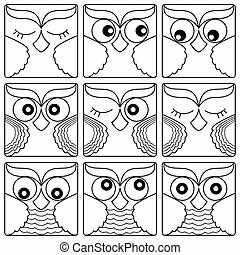 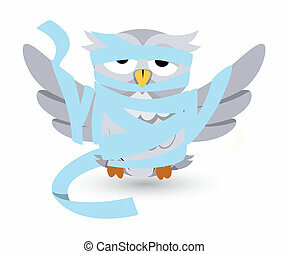 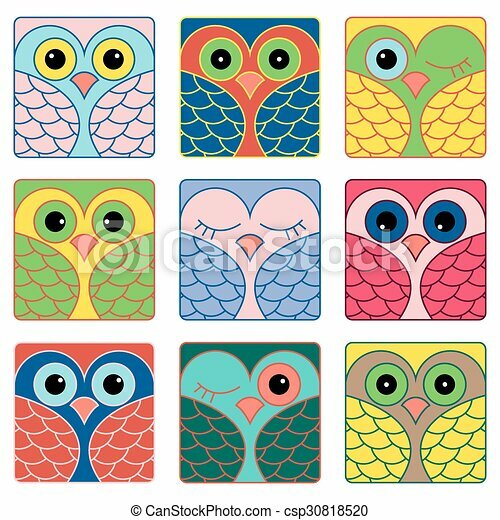 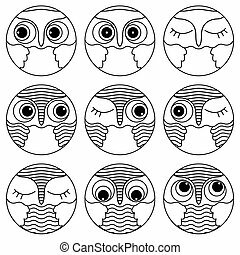 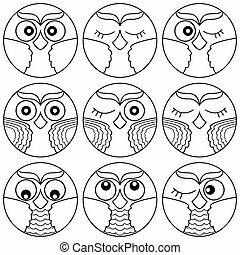 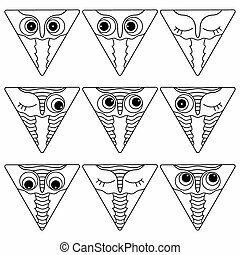 Set of nine funny colored owl faces placed in square forms and isolated on a white background, cartoon vector illustration as icons. 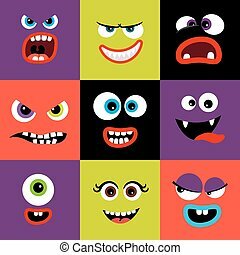 Cartoon faces. 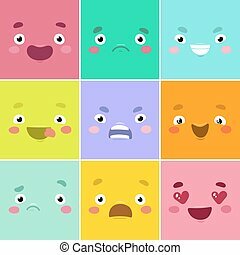 Set of different emotions painted in squares.